Enslins offers quality and economical car transportation service to the Tri-State Area and surrounding airports. We provide service to Newark, JFK, and LaGuardia Airports. 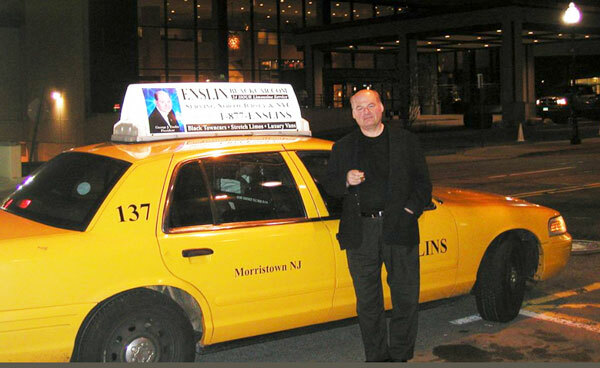 We offer yellow taxi or black car service as requested by you, our discerning clientele. We at Enslins LLC believe in your comfort and satisfaction. ﻿Enslins LLC is a family run car and taxi service. We are based in Parsippany. Enslins LLC is a third generation car and taxi service. Our business was brought to life in 1976 by George Enslin, Sr. We have seen many changes over the past 37 years including more cars, more drivers and larger locations but through it all we have always remembered the one constant in our business that we hold above all others. You, our valued customer are the reason for our being the best we can be. Through all our changes it is our commitment to you and your continued patronage that keeps our company growing. So we want to say thank you to you, our valued customers, and welcome to all our new and future customers. For all of us here at Enslins LLC it is not just a job but a way of life. We all stand ready to provide service to you and yours because it cannot be said enough: “Excellence in Service” is not just our motto. It’s our way of life.